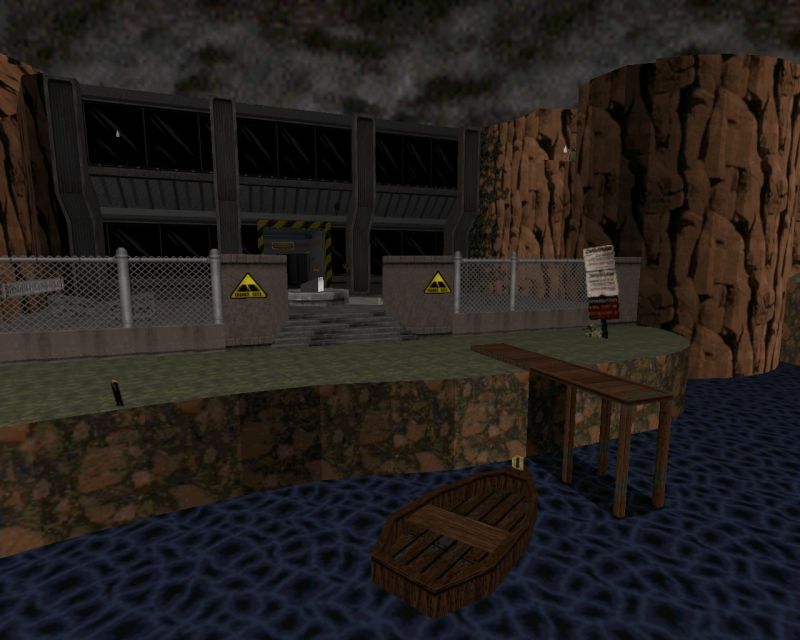 The Review: This map is a very early version of Gambini's Rush2K, one of the most detailed maps in the game's history. I've made this early version available since it's quite a bit different and because it's interesting to see how much things have changed. This map has several areas that are not present in the more recent version, and vice versa. For example, this version has a longer rail tunnel segment but it's missing the second outdoor area. While there are far fewer details (the map relies much more on sectors rather than sprites for detailing), you can already see traces of what would become Gambini's pathological attention to details. 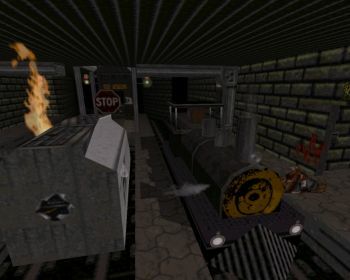 Some sins are repeated, including crampedness and invisible walls, while gameplay remains mostly the same. Interestingly, this old version is noticeably longer and has a better ending while the "original" ended much too abruptly. Anyway, the map is definitely worth a play, and it's not a bad idea to replay the original as well so you can see the map's evolution for yourself.